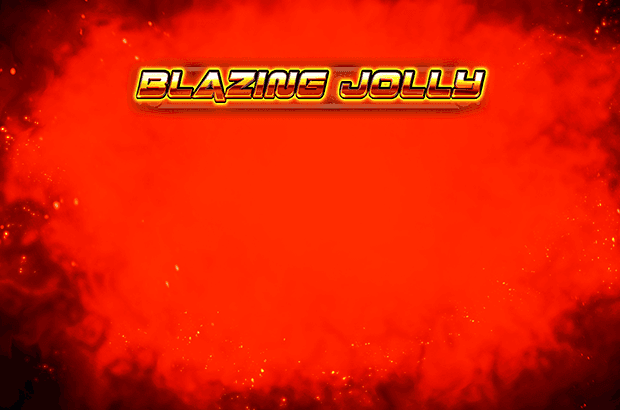 Play Blazing Jolly online for free now! The cheeky Jolly knows: smiling & winning makes you happy! Blazing Jolly is amazing fun in the guise of a classic slot machine like you've never seen before. Colourful fruits, a shining 7, the BAR symbol and a cheeky Jolly bring plenty of fun to this slot! With a little luck you might even pocket a juicy Bonus in the free games or hit the jackpot. Here we tell you everything you need to know about the iconic Novoline game Blazing Jolly - a favourite of countless players! Blazing Jolly is a classic fruit slot with 5 reels and up to 40 win lines. 3 to 5 identical symbols side by side on one of the win lines running from left to right fill your coffers with Twists. There is just one exception: Jolly only needs to appear twice to pay winnings. And there's more to the sassy Jolly symbol: he triggers Free Games if he lands at least three times, substitutes for other symbols to complete winning combos and has the highest win value! 3, 4 or 5 Jolly symbols trigger a special treat: 10 free games! All Jolly symbols are held in Blazing Jolly during the free games. Then they can substitute other symbols for winning combos. Moreover, if you play Blazing Jolly online and 20 Jolly symbols appear at once on your screen, you have cracked the progressive jackpot! You bag 100 percent of the jackpot for maximum stakes and you receive a jackpot share for lower bets. Fruit slots have always been tremendously popular. Why? For the simple reason that these slot machines are easy to play which makes them all the more fun. Just spin the reels and look forward to great chances of winning! And if you want to take a break from playing Blazing Jolly you could check out another one of our many fruit slots. How about a few rounds with our colourful slot machine Sizzling Hot deluxe? We recommend: enjoy incredible gaming fun with Blazing Jolly online, and find out afterwardswhich other games GameTwist has in store for you. Wanna make your own casino fairytale come true? 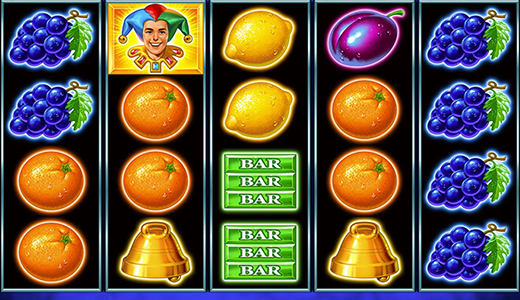 Classic fruit slot with colourful symbols, 10 symbols in the game. The Jolly acts as Scatter symbol and has the highest win value. Progressive jackpot possible.